A good example of what went on at Greenpoint, the recording studio Bill Laswell and Jonas Helborg assembled in Brooklyn in 1990, occurred in 1992 when I took a friend of mine, Chris Schell to see the space above the studio we were going to renovate and turn into a temporary art gallery. It later became a performance space. I'd made an arrangement with Bill to finish the construction on the third floor in exchange for 6 months rent-free occupancy. Chris was a huge fan of Parliament/Funkadelic and I'd told him those guys often recorded at Greenpoint - Bootsy Collins, Bernie Worrell, Gary "Mudbone" Cooper, Gary Shider, and probably some others. I had no idea who would be recording so it was quite a shock and surprise to see that everyone from Funkadelic was there that day including George Clinton, it was basically a reunion of the old school Parliament. I don't know if they were recording or just meeting, when we poked our heads in they were casually chilling around the studio. Chris seemed a little awestruck by the group as was I. That was the only time that ever happened in my presence though I did work with them all individually at various times. Greenpoint was the nexus, focal point and audio laboratory for some radical breakthroughs in music assemblage and production; recording and mix translation; the working spot for an informal community of musicians, engineers and technicians; rappers and poets, crazy Sufis and serious magicians; rock royalty (Ginger Baker, Buddy Miles) and jazz (Ornette Coleman, Tony Williams, Herbie Hancock etc.) and punk (Iggy Pop, The Buzzcocks) legends. I've barely scratched the surface. Once I mixed an album for the English band God. Yes, at Greenpoint I mixed God. Painkiller (Laswell, Zorn, Harris) was born there. Greenpoint was where Bill Laswell brought musicians together to forge new connections, modes and territories in music; it was a way station. The current of music flowing out of there was always strong, highly charged, powerful, sensitive and diverse; buzzing with electricity; resplendently radiating musical multiplicities; sound constructions; expression of soul content. Geography plays a crucial role in all forms of creativity. I've noticed this most in music. For a long time I've experienced and experimented with the notion of "power centers,"certain locations on Earth more conducive to artistic flow. I didn't hear about this elsewhere until much later when watching a video Reshad Feild' made about ley lines while visiting his Sufi based school in Switzerland. Praxis (Buckethead/Brain/Laswell/Worrell) was playing a festival nearby. Touring as a soundman with The Tickets in the early '80s I began to notice that certain places brought out different qualities both personally and artistically. We played a regular circuit in Western Canada repeating the same venue about every three months. Saskatoon was where most of the band was from and was one of those cities where an inordinate number of musicians hail from for it's size. Loverboy, Streeheart, Iron Maiden, all big Canadian bands at the time came out of Saskatoon. We looked forward to the shows at the A4 Club there, they always seemed a notch above anywhere else; there was a different,very poignant vitality there. Whenever we played Saskatoon I had a strong urge to do a lot of yoga and magick, much more than anywhere else and so I did. My first really successful ritual invocation occurred in Saskatoon and it scared me senseless. I got the communication to not try that kind of thing for a couple of years; to make a foundation in the meantime. I will state and affirm with 93% certainty that Greenpoint Studio was one such power center. Not just because all kinds of world class musicians worked there, nor was it by any means lavish and expensive in its design. It had a modest amount of really good equipment and the acoustics were good, but not great for a big room sound. There was something intangible about Greenpoint, a vibe, that caused people to open up more than usual. Things were channeled from the Outside and other things were dredged up from interior depths; invocation and evocation. Near the start of one session with Bootsy Collins and Stevie Salas, Buddy Miles began to go off on an emotional rant about how the music business had destroyed Jimi Hendrix by giving him drugs, etc. Buddy got so worked up that he began crying, a cathartic release. Bootsy went over to calm him down. Buddy wore Jimi Hendrix like a badge of honor and obviously had issues to resolve that spontaneously got evoked out of him. A clearly evident sign of channeling happened at the recording for Painkiller's debut album when Mick Harris was screaming his nonsense vocalizations - they weren't words, just sounds. One sound, "scud" got repeated a few times, one sequence going "scud, Scud, SCUD SCUD SCUD!!! in rising intensity. About three or four days later the phrase "scud missiles" was all over the news at the start of Gulf War I. I had never heard of them until then. More testimony to Greenpoint as a creative hotspot came from Jonas Helborg who told a friend of mine at a NAMM show that the sessions we did together at Greenpoint were some of the best he's ever done in terms of vibe Jonas did a lot of sessions there, he was partners with Laswell in the studio until 1993, but I believe he may have been referring to his acoustic bass solo album The Silent Life. I recall a strong mood of otherness during those recordings so I can guess at what he was talking about. Dissident, the album Helborg put together under the group named Deadline also had strong moments. His Laswell produced album for Axiom, The Word, with Tony Williams and The Soldier String Quartet was recorded entirely at Greenpoint by Jason Corsaro and myself. It's an underground classic. Helborg's record label since 1997 is Bardo Records. I first heard about the Greenpoint studio when working on tracking sessions at Platinum Island for an album Bill Laswell was producing for Masabumi Kikuchi called Dreamachine. Kikuchi had a rehearsal space that he rented in the Greenpoint section of Brooklyn that he was going to give up. 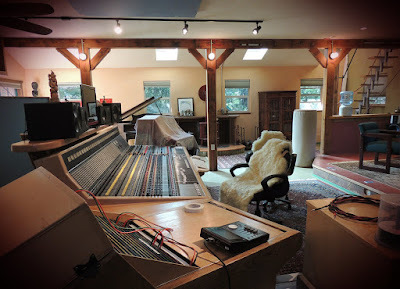 I don't know if Bill had been actively looking for a space to set up his own recording studio or if it was a spontaneous decision responding to the opportunity, but I soon heard the news that Bill was acquiring the space to set-up a recording studio in partnership with Jonas Helborg who owned quality recording equipment including a vintage Neve desk. Bill rented the entire 3 floor building though only the second floor with the studio had been completely finished. Kikuchi naming his album Dreamachine, the album that lead to Bill making a studio seems like one of those strange coincidences that follows extra-dimensional (XD) explorers around. 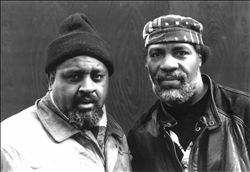 I found out later that it had been a dream of Laswell's for many years to establish a self-sufficient production studio for his projects. A recording studio can be poetically viewed as a machine for dreams to be expressed. Bill had all the Material he needed (i.e. musicians, engineers, technicians, equipment, ideas) and with Greenpoint he was now in possession of the technical means to put a recording studio dreamachine together and make it work. Also, for much of Greenpoint's existence, a bonafide dreamachine sat on a table in the control room area. This is the stroboscopic light flickering dreamachine designed and thoroughly explored by Ian Sommerville, Brion Gysin, and William S. Burroughs in their various experiments to stay high without drugs. The front door to the street at Greenpoint opened to stairs that led up to the second floor where the studio was and the third floor which eventually became an art gallery/floatation center/performance space/ and bohemian living quarters at different times for artists like Umar Bin Hassan, Anton Fier, DJ Spooky and yours truly. The entrance to the second floor was on the left and it opened to a foyer with a large black wood table in the center and shelves on the sides that stored cables and mics. An ancient but fully functional freight elevator occupied most of the side facing the street. The one telephone was mounted on the wall right beside the wide doors that opened into the studio proper. Greenpoint was a former warehouse that had been reterritorialized first as a rehearsal space for Kikuchi then as a recording studio by Bill and Jonas. The studio was completely open, one big room, with different zones set aside for different functions. Most of the studio had a hardwood floor except the zone to the immediate left when you walked through the doors which was a carpeted control room area with a black leather couch in the corner. Six foot by six foot by one foot blocks of greyish-black thick foam were stacked around the outer perimeters of the control room zone that faced the recording area to establish some sound baffling. A large window was left open in the foam walls so that the engineer working behind the sound desk could look between the large Urei 813 monitors and have unimpeded sightlines to most of the studio. As an engineer, there was never any doubt when you were recording that you were in the same room as the musicians. This made the experience of recording far more immediate, direct and electric. Since experience has led me to conclude that the consciousness and mood of the engineer affects the recording, the continuous space of control room/recording area seems a highly likely contributing factor to the extraordinary recordings Greenpoint produced. In most commercial studios the control room is a completely isolated room. The better ones will have lots of windows with clear sightlines to the recording zones and good communication systems in place so that you don't feel like it's a separate room. However, there's always some sense of clinical isolation from the musicians when the tape or digits are rolling. Not at Greenpoint. The way I dialed in the tones in that situation, especially drum sounds, was to monitor loudly on the Ureis and then guesstimate the settings in the signal chain as obviously the sound of the drums in the room will interfere with what you're hearing through the mics. When the settings seem right you then record for a couple of minutes and check the reality of the recording without the live bleed, without the band playing. You could then make further adjustments and check it again though as we went along most of the time the initial settings worked just fine. You could learn to hear through the ambient bleed of the sound of the musicians in the same room. Adjusting the recording controls and setting up the space became as intuitive as deciding what note to play next on an instrument. Opposite the control room, to the right when you walked in, were shelves storing a modest tape library with both Laswell's archive and current projects. Some of the titles were historic and tantalizing with labels that read Hendrix/Davis or Bambaattaa/Lydon. That corner also stored instruments, amps, speaker cabinets and mic stands when not in use like the Hammond B3 Organ and Leslie cabinet that Bernie Worrell made extensive use of. The far back wall had tables covered with Bill's vast collection of unusual and obscure pedals and stomp boxes, each one its own universe of sound variation and alteration; harmonic schizoanalysis, oscillation overthrusters and sounds too delicate and ephemeral to write about; the sound of a butterfly's wings. Kikuchi had built a shell around the inside walls of the building to help the acoustics. Sections of it were angled to offset parallel surfaces and subsequent standing waves. A space for a closet size storage area had been left between the shell and the wall in the back left of he studio. It ran about half the length of the studio but got progressively narrow. It was big enough by the door that opened to it to put a bass amp and cabinet for isolation as was often done. I was also able to put my PA in there and position mics far enough down to reamp sounds from the board during a mix to get a great small room/closet type of ambience. The back right corner of the studio had a small raised platform to set up drums on. Three 4 x 6 sheets of an unknown kind of wood, maybe plywood, had been affixed to the back corner behind the drum platform to increase reflections, to make the drum sound bigger. I had help discovering the sweet spot of the room early on. Simon Shaheen was playing a violin while walking around the room then stopped in one spot remarking that it sounded much better there than anywhere else. It was near the center of the room and a little to the left. It became the go-to place to overdub vocals and solo acoustic instruments. As there wasn't a dedicated iso booth, isolation was achieved by building small "houses" around the speaker cabinets. There were extra large blocks of thick foam which fit together real well for the walls of the house then furniture blankets could be draped over that. This way you could have a loud 100 watt Marshall amp and cabinet in the same room as everyone else and still get great isolation. Sometimes the front door of the house would be left open to let some intentional bleed into the room or to enable the guitar player to get feedback tones. As mentioned, the back closet was often used to isolate the bass rig. Occasionally speaker cabinets would get put outside in the foyer. Since the room wasn't highly reverberant you could get away with putting an entire band in the same room including vocals with acceptable levels of bleed. I once recorded a full live band for free jazz saxophonist Ivo Perelman. Brazillian singer Flora Purim was also recording live with the band which included drums, percussion, guitar, sax and bermbau. I created a vocal zone with a baffle by the tape library as far away as possible from the drums and it worked fine. 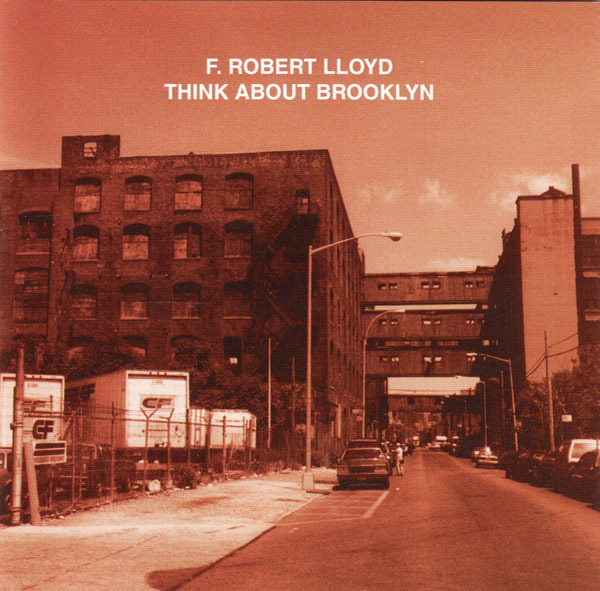 I recorded and mixed this at Greenpoint in 7 days; produced by Jean Touituo for A.P.C. This photo, probably by Touitou, was taken within a block of the studio. This was the neighborhood. I wasn't around for the installation of the studio equipment, the transformation from a rehearsal space into a recording studio. My friend, Ian Linault, a maintenance tech I knew from Platinum Island worked at Greenpoint fairly early on, he might have helped with the installation for all I know. I don't know exactly what Ian did. He told me that Bill would come in, surveil the scene then often make all kinds of lists - projects to assemble, things to get for the studio, etc. I used to drop by after the gear was wired, but before being booked on any sessions to get the lay of the land, see the new territory Bob Musso was around a lot, I think he was the one who showed me the new patchbay and signal flow. I expect he had something to do with the equipment installation even if only in an advisory capacity. Eddie Ciletti, now a world renowned audio angel through all his magazine articles eventually became the regular maintenance technician. The first sessions I was booked on at Greenpoint were overdubs for The Third Power album Bill was putting together for an Axiom release. Quite appropriate as Greenpoint became the third power over time, however you want to take that. The Third Power started its life as a Sly Dunbar and Robbie Shakespeare record before mutating into a Material record with a broad selection of the funk, rap, and jazz elite including: Herbie Hancock, Henry Threadgill, Olu Dara,The Jungle Brothers, Shabba Ranks, Maceo Parker, Fred Wesley, and Pee Wee Ellis among others; of course many of the Usual Suspects (Bill's go-to musicians) joined the assemblage, in this case: Nicky Skopelitis, Bernie Worrell, Aiyb Djieng, Karl Berger and Jeff Bova. Much of it was recorded at Greenpoint, but there were also sessions at Platinum Island and B.C. Studio. It was mixed by Jason Corsaro at Platinum Island. Various models of quantum physics, the philosophical exposées of Deleuze and Guatarri, and multiple occult systems all refer to immanent fields of virtuality that surround and possibly influence actual events. In quantum mechanics you have Heisenberg's notion of potentia - "'objective tendencies,' or 'propensities,' connected to an impending actual event." The parallel worlds model also applies to the virtual. "In Deleuze's ontology, the virtual and the actual are two mutually exclusive, yet jointly sufficient, characterizations of the real" (Boundas, The Deleuze Dictionary). Magick has various qabalistic worlds as well as the practice of scrying the astral planes to explore the virtual worlds immanent to the actual. The shamanism of Carlos Castenada talks about the non-material, unknown world of the nagual that surrounds the material tonal world. I will say what I can of the nagual at Greenpoint along with the tonal. Exploring qabala becomes a way of reaching into the nagual or the bardo; extracting affects and information. While assisting Jason Corsaro on a mix at Platinum Island, for Ginger Baker's Middle Passage, Nicky and Bill showed me a paper with large letters that read AXOM. It looked very powerful, but I was a little confused because I didn't know what it meant. I told them it reminded me of axiom without the i. I guess they had just decided on the name for Bill's new label forming under the auspices of Chris Blackwell's Island Records. They put in the i (eye) and it became Axiom. It is indeed a powerful name especially for a rhizomatic source of creativity; creation of new worlds; records that are veritable monastaries of rare musical content and expression. Yes, monastaries, which means they should get collected and preserved in anticipation of the upcoming apocalyptic breakdown of society expected any day now if we don't get it together. Axiom adds to 201 which makes it equivalent to RA, the Egyptian Sun God; "... the axiomatic deals directly with purely functional elements and relations whose nature is not specified, and which are immediately realized in highly varied domains simultaneously ... The immanent axiomatic finds in the domains it moves through so many models termed models of realization. " (Deleuze & Guatarri, Mille Plateau, p.454.). Many Axiom releases weren't recorded at Greenpoint yet several important ones that I worked on were or had overdubs done there including Jonas Helborg - The Word, Material - The Third Power, Sonny Sharrock - Ask the Ages, Praxis -Transmutation, Nicky Skopelitis - Exstasis, Material - Hallucination Engine, Sola - Blues Across the East, Mantra and I'm probably leaving some out. Before we went to Jajouka to record Apocalypse Across the Sky (Master Musicians of Jajouka) I used Greenpoint as a staging area to set up all the equipment we were bringing including the generator. It all worked as history has made obvious. I did the same thing when we went to West Africa to record Jali Kunda: Griots of West Africa and Beyond. It was done for Ellipses Arts and not for Axiom yet the process was similar to any other Axiom field recording. This is considered an important album in the West African music genre and was an important one for my career as it to led directly to meeting Aja Salvatore of KSK records and a lot more West African field recording. The first session I engineered at Greenpoint was with Bootsy Collins playing electric rhythm guitar. We wanted that super clean funky rhythm guitar sound so the guitar was plugged in direct and Bootsy played in the control room right behind where I sat at the console. Bootsy was playing as soon as the music started, coming up with an outpouring of ideas for a part as if directly wired to a fountainhead. Easily a dozen different rhythm ideas flowed from the the guitar within the first couple minutes which Bootsy would forget almost instantly, like painting on a river, but I knew from experience to start recording right away. After the first run-through we rolled the tape back listened to the different ideas until a pattern was chosen to structure a part for the song. Looking back, this appears a reasonably clear indication of Greenpoint as a recording hot spot as we were about to find out over time. The timing of the opening of Greenpoint perfectly coincided with my leap into the unknown of freelance engineering. Actually it was probably the catalyst, whether I was conscious of this or not, for quitting a reliable and secure job as staff engineer at Platinum Island to become independent. One significant technical difference was that Platinum Island had a lot more equipment. Greenpoint had gear every bit as good as a major studio there was just less of it. Jonas Helborg had managed to pick up two small (16 channels each as I recall) vintage Neve 8058 mixing desks with 1066 channel strips for a song somewhere in Eastern Europe. Apparently after the Iron Curtain was lifted you could get amazing deals on vintage audio gear in the former Soviet Bloc countries that was often sitting unused with their owners totally unaware of the treasure trove they were sitting on, getting rid of it at far below the market value it would bring in the West. Neve consoles or channel strips of that era just simply make the best sounding recordings you will find in this engineer's opinion. Most of my favorite sounding projects have had a vintage Neve involved either at Greenpoint or later at Prairie Sun in California. The tape recorders, both multi-track and the 1/2" 2 track for mixdowns were Studer A80's, state-of-the-art at the time. I can't remember the full outboard assemblage. I know there was an Eventide H3000 multiprocessor, a AMS RMX reverb, a Yamaha Rev 7 and SPX 90 multiprocessors. There was a dbx 160x compressor and maybe one or two other compressors that I'm not recalling. When we mixed we would rent the Neve 33609 for transparent stereo buss compression until one was purchased. Jason Corsaro's Massenberg stereo parametric EQ ended up there before too long. The Massenberg was and still remains the holy grail of analog precision equalization. One of the earliest basic tracking sessions at Greenpoint was recording the album that became The Word by Jonas Helborg. In the beginning was the word, and the word is ... listen to the album if you can find it. It's an instrumental record with Jonas, Tony Williams on drums, and the Soldier String Quartet. There are no words in The Word. I assisted Jason Corsaro recording the basic tracks, Tony and Jonas facing each other playing live with Jonas set up about 25 away from the drums behind a few of the foam baffles. Jonas played a Wechter acoustic bass guitar that he had helped design. It's not an upright bass, but rather looks more like an oversize 4 string acoustic guitar and is held and played in a similar fashion as an acoustic guitar. The microphone selection wasn't that extensive yet so I learned a valuable lesson watching how Jason improvised with the drum mics. Jason asked if there were any paired condenser mics for recording the drum overheads and I replied that we only had the stereo Sony ECM 959 condenser mic that I used with a DAT recorder for ambient field recordings. It was a good sounding mic, but ran on batteries and only had a stereo male mini plug connector hard wired to it. I didn't consider it a professional studio mic so was surprised when Jason went ahead with it and got a great recording, pristinely capturing the incredible rhythmic articulations of Tony's cymbals and the ambience of the rest of the kit. Later, I used that mic a lot for recording drums with Bob Bachtold at E.J. Gold's studio. As far as I know, that was the only time it was used for that purpose at Greenpoint as someone, probably Bill, got an endorsement with Shure which included a pair of SM81s that sound excellent on overheads. After a couple of days tracking with Tony we had enough pieces for an album. Most of the masters were first takes; everything he played was absolutely amazing; king of the jazz drummers. I only remember one brief rhythmic straying off course which Bill easily fixed by putting a Fairlight bass drum sample on one downbeat. I took over engineering on the third day overdubbing with Jonas who was also blowing my mind with the reach, originality and fluidity of the melodic voicings he was playing while rhythmically locking with Tony. They say consciousness has magnetic properties therefore musical consciousness and expression would also be magnetic to bodies that could respond to it. I can't help but consider that Tony's playing spurred Jonas to greater heights. Likewise, I can imagine that Tony knew or intuited that Jonas had the potential to play at that level inspiring him to drum in peak form. A few nights later I recorded string parts arranged by Jonas and played by the Soldier String Quartet. Jason's mix of The Word at Platinum Island was as stellar as every other musical contribution to the album. He created this ethereal reverb for the strings that made them sound like they were both floating and fluid at the same time. Jason is a genius at discovering completely unique ambient spaces by processing reverbs and delays, combining effects with effects bringing forth unknown synergies of sound. My guess is that he started with the Breathing Canyon program in the Eventide H3500 and went from there. This treatment of the strings gave them a quality as equally fluid as the drums and bass. One overall affect of this music thus emphasizes the continuous, hydraulic nature of energetic forces as opposed to the static, block-like objects we commonly view the world as. "Treating reality as a set of flows rather than a series of discrete objects results in a very different account of reality." (Adkins, Guide to A Thousand Plateaus). Listening to The Word could result in a very different account of reality. It also seems a spiritual milestone. I don't know what it was exactly, but Jonas brought that kind of depth both to the compositions and the atmosphere at the recording. I did lend him two books by E..J. Gold, The Joy of Sacrifice: Secrets of the Sufi Way, and The Human Biological Machine as a Transformational Apparatus. Bill thought he might have picked up some song titles from them. I can't really tell. Speaking of the nagual ... Time at Greenpoint often seemed to operate in a different way. Since this wasn't a commercial studios, all of the sessions were projects for Bill, Jonas or for friends that Bill lent the studio to. In that case, he would never ask for a studio fee only asking that the engineer and tape costs get covered. This meant that there was never the pressure of being on the clock, of having to link creative production with a set period of clock time like you would at a shoe factory. That pressure having been lifted, it seemed that you got a lot more done at Greenpoint in a lot less time. There were never marathon sessions, we usually worked six to eight hours at a time. Yet there was an enormous amount of work accomplished there. Much of that can definitely get attributed to Bill's focused intentions as a Producer and the magnetic pull that had on the sessions, but still there were many times in my experience where we got more done than should have been possible in the amount of clock time that went by as if time dilated. When two observers are in relative uniform motion and uninfluenced by any gravitational mass, the point of view of each will be that the other's (moving) clock is ticking at a slower rate than the local clock. The faster the relative velocity, the greater the magnitude of time dilation. This case is sometimes called special relatavistic time dilation. In our case, one observer is in Greenpoint making music without much awareness of clock time boundaries (a form of micro-fascism) while the other observer is outside entirely governed by clock time. Different rates of velocity. The name of my engineering company is High Velocity. I got this name from the Tim Leary book, The Game of Life. The last sentence in Leary's autobiography Flashbacks is: "It's about time." A clear incident relative to time stands out. I don't remember the artist or who the overdubbing musician was, but it was a rare session that had a deadline for some reason. The musician was having a little trouble with the part and getting anxious, he didn't know about the deadline. Bill told him with complete sincerity that there was no rush, that he had all the time in the world, and not to worry about how long it took. I had to mix the song after the overdub and Bill knew that so it was interesting to observe his total disregard for ordinary time constraints, confident that it would all get done in time. It did. The musician relaxed, knocked out the overdub and I had no problem or extreme rush to mix it in time. Most of this was written immediately after hearing about the events in Paris. I am struck at the moment by the curious coincidence of two completely opposite polar expressions, one of freedom, the other of fascism happening on the same day. We define fascism as anything that imposes a stricture, censorship or limitation on individual expression. "The word of sin is restriction," to quote a famous freedom fighter. Taking another life or causing injury to another makes for the ultimate act of fascism. The cowardly attacks on innocent people in the name of some malefic ideology or cause shows how out of control the diseased black hole of fascism has become in recent years. It's a severe sociopathic disconnect to take innocent lives in justification for some so-called religious viewpoint: a curse upon violent terrorism. A true piece of art has to change the very spirit of people. The very soul. When I go to the theater I should exit a different person. The movie must give me something, hope, knowledge, a hidden beauty kept inside that I didn't even know was there. ... We need to make movies that heal, optimistic, joyful, creative marvelous movies. Again I highly recommend watching the whole video. It's only six minutes and two seconds long. At the end you can see Jodorowsky laughing at himself for the passionate dramatic delivery he just did. About six weeks ago I wrote: "The amorphous violent war/jihad of terrorism from any kind of ideological fanaticism also declares a war against music." The attack on music is now as direct and literal as it gets. We have argued that the will to power of the creative act can effect changes in the world at large starting with rippling strings of quantum entanglement on the sub-molecular scale that eventually surface as alterations of human behavior on the Einsteinian/Newtonian level of everyday reality. Fight fascism with creativity; Endless Poetry. A specialized environment to record light and/or sound. A tabla rasa, whatever you want it to be. A contained vessel for shamanic journeys into sound spaces bringing back a souvenir (the recording) to communicate those spaces. An experimental laboratory generating compound sonic assemblages with resulting quantum entanglements. A landing pad for the descent of higher entities, i.e. the living percepts and affects - the sense, feeling and mood of the music; the intuitive ideas it inspires; the baraka it communicates; the gnosis released when lightening strikes. We'll be looking at a particular sound studio, Ancient Wave, the one I work at locally, the new World Headquarters for High Velocity Sound Engineering. The intention of a recording studio is to bring great music into the world. Music can come from anywhere, but certain conditions help increase the odds. When I asked Paul Bowles what, if anything, he did to help inspire creativity in the people he recorded his immediate answer was, "make the musicians comfortable." Usually the first thing people remark about when visiting Ancient Wave studios for the first time refers in some way to the high aesthetic of the space. That may have something to do with the quality of craftsmanship, planning and tender loving care that went into the construction, design and finish of the studios. It's warm, organic, and woody. It also sounds really good in every room. You can get some idea by visiting the website. It has a little bit of a Tibetan or Japanese Zen quality to it. A Lamasery or Dojo for sound recording. Dojo translates literally as "place of the way." All processing done via electronics in a recording studio, everything done in that domain, directly affects and changes things at the quantum level. Having some recognition and understanding of that level can help get one more inside the music. The quantum level is where magick occurs; Bell's Theorem and quantum entanglement offer explanations for "spooky action at a distance." The quantum level is a level of forces, intensities and speeds in a riverrun of ever-changing motion; here to go. Consciousness affects the making and recording of music at the quantum level and music in turn affects consciousness at its quantum level. The architecture and environment of the studio, the space it creates or allows to be created also affects consciousness. Feng shui for the quantum level, the realm poetically and affirmatively seen as sacred and holy by mystics and explorers of all stripes because of its far-reaching effects; its power of will to create. The name Ancient Wave reflects this awareness and sensibility. Comparison of classical and quantum harmonic oscillator conceptions for a single spinless particle. The crown jewel of Ancient Wave is the 40 channel vintage Trident TSM desk. It has a rich, clear analog sound with extraordinary depth and dimension. Its friendly, musical sounding EQ paints in broad strokes as is common with boards of that era ('70s and early '80s). The sound is so good out of that desk that it seems to negate any need for tape to get that classic analog sound though a Studer 1/4" analog tape recorder is available for people, like myself sometimes, still in the cult of tape. I rely heavily albeit lightly on the Shadow Hills Mastering Compressor, a $7.7k boutique unit with a modern, warm sound, and subtle, but effective transparency of operation. It's the Buddha of compression, a silent, glowing affinity with all sound and vibration. It cracks me over the head with a stick whenever I fall asleep. Another machine, a $10k Sony reverb computer (I don't remember model numbers only how much they cost!) has a virtual library simulating some of the best acoustic spaces on this planet: King's College Chapel, Power Station Studio A, Cello, the Parthenon, Sydney Opera House, etc. etc. I can add acoustics from spaces all over the world. Ancient Wave is a labor of love, skill and intelligence assembled by the dyadic cyclone Saul and Elena Rayo, prolific solo recording artists of local, regional, and universal renown. Together they bring a musician's sensibility and aesthetic to the design and operation of the studios. Saul, in particular, has a passion for the art of recording. He is also a talented producer. Technician and engineer Michael Eaton is the one who literally put it all together and remains a vital cog in day-to-day studio operation. Miguel is a veteran of the LA and Las Vegas music scenes with a background owning and operating a recording studio. A few well-known clients already have benefited from the facilities at Ancient Wave. Evolutionary Minded: Furthering the Legacy of Gil Scott-Heron produced by Kentyah Fraser was one of the first projects mastered there. American philosopher Dr. Cornel West called that album "... prophetic art at its highest level." 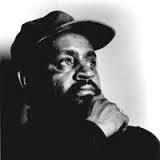 Rappers and poets featured on that include Dead Prez, Chuck D., Killah Priest and Abiodun Oyewole from The Last Poets. Another early mastering job was done for the piano jazz trio Too Noisy Fish for their album Fight Eat Sleep, recorded, mixed, mastered and produced by your extremely humble reporter. New York Jazz Record magazine named it album of the year for 2013. Two albums by the Sufi and psychedelia inspired Neo Folk World Rock ensemble HuDost were mixed at Ancient Wave this year. The first one, The Word Is... is a collaboration with Steve Kilbey the lead singer from The Church. One song, Omega, features additional lead vocals from Jon Anderson of Yes. A personal favorite of mine, a cover of Velvet Underground's Sunday Morning was recorded as a homage to Lou Reed the day he died. The second HuDost album mixed there is Sufi Kirtan which expands the Sufi practice known as zikr (remembrance) to include prayers and chants from the esoteric side of all the major religions. It's only been out a few months and is in the running for a Grammy nomination. The soundtrack for Retour, a contemporary dance performance by the German dance collective laborgras was mixed and mastered at Ancient Wave in 2014; music composed and arranged by Phoebe Killdeer. Also, some interestingly evocative soundtrack mixing was recently completed for L.A.'s Blasting Company. The animated show is called Over the Garden Wall and will air on the Cartoon Network. New releases were mixed this summer for Austin James and the free jazz trio Bro Jazz. This summer also saw mixing for a few up and coming rappers with Aja Salvatore for KSK records in Studio B. These were Cyhi the Prynce (signed to Kanye West's label and a guest on his album, My Beautiful Dark Twisted Fantasy), Fat Trel (signed to Rick Ross' Maybach Music Group), and Jon Connor (signed to Dr. Dre's Aftermatch label and performs on Dre's new album, Compton). Aja and I also mixed a track with local singer Deja Solis (Hamsa Lila). Deja is renowned in burner circles for being the model for the huge statue at Burning Man every year. She's also an incredibly soulful singer. Other local Ancient Wave projects include Rustler's Moon, the well received, debut release by novelist and singer/songwriter Sands Hall. This one was produced by Saul Rayo. The medieval, celtic, pagan, psychedelic folk group Lasher Keen recorded their vinyl limited edition Mantic Poetry, Oracular Prophecy in Studio A.